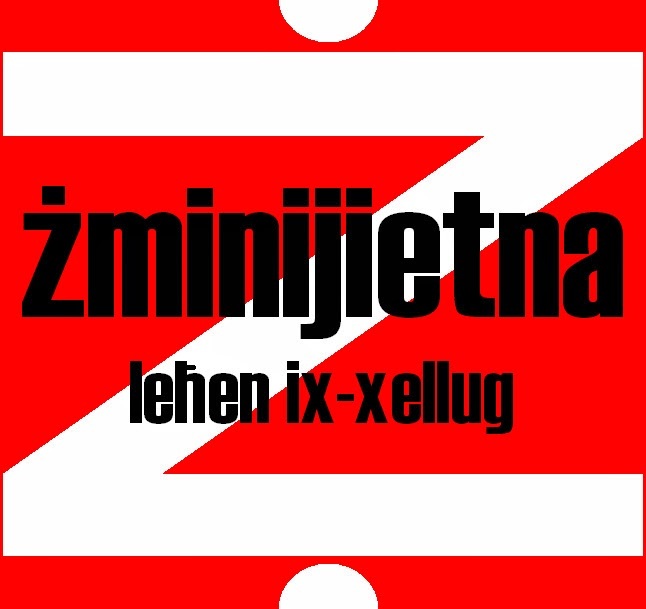 Żminijietna – Voice of the Left, Alliance Against Poverty, General Workers’ Union Youths, Moviment Graffitti and Association of Federative Socialists are putting forward the following proposals for another Europe, a Europe with a social and ecological model. The European Union should increase public expenditure so as to increase job creation and productivity. 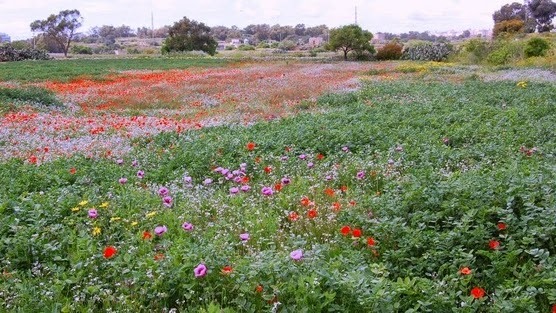 The EU requires an investment plan for social and ecological reconstruction and so as to increase demand in Europe. The emphasis should be on environment and renewable energy; the production of knowledge and information; health and social welfare; and sustainable solutions in areas such as food, mobility, construction, energy, waste management and water. The dismantling of Europe’s industrial capacity should be stopped. The process of privatisation of public services should be revoked. The public sector should have an increased role in the new initiatives within the EU. Eurobonds should be issued so as to help finance deficits and debt of national Governments. Unsustainable debt of member states should be audited to verify whether it is legitimate. Banks should not be allowed to participate in speculative activity. The Financial Transactions Tax should be introduced so as to reduce public debt and so as so halt financial speculation. The European Central Bank should be subject to democratic control and should give priority to social and environmental targets. The European Central Bank should assume the role of ‘lender of the last resort’ to Governments. The European Treaty on Economic Governance should be opposed as this is resulting in reduced workers’ bargaining power; social inequalities; lower wages; precarious employment; unemployment and privatisation of public services. There should be more emphasis on collective bargaining, on wage increases and on equal gender rights and responsibilities in the struggle against precarious employment. All workers, irrespective of employment and nationality, should have full access to social programmes offered by national Governments, and to the same conditions and wages offered to other workers who work in the same country or region. The conditional usage of structural funds so as to impose austerity measures should stop, and decisions on usage of such funds should be determined by social needs. There should be enough funding for unemployed persons such as youth, ageing workers and workers with disability. At the same time, EU social policy should recognize that many people cannot work and therefore require unconditional social assistance. Workfare policies – which result in conditional welfare and which are targeted towards the acceptance of precarious employment – should be replaced by policies which apart from encouraging active measures such as training, should also guarantee universal welfare. Social policies should ensure that public services such as health, education and social services are not privatised and liberalised. Social policy should ensure a fair balance between employment and leisure, and EU-wide policies against precarious employment should be introduced. The European Parliament should support a policy for minimum income, where each member state would ensure that each person earns at least 60% of the median income of the respective country. This will have an important counter-cyclical economic role in the redistribution of wealth and will provide more resources for demand and consumption, thus avoiding recession. The European Parliament should support the proposals for a Basic Income for all, so as to reduce poverty and so as to increase the redistribution of wealth without halting economic and social initiative, whilst increasing demand. All EU treaties should have social and environmental protocols. There should be a European social pact so as to combat poverty, social exclusion and discrimination, and so as to enhance democratisation and civil society participation in European politics. Climate change should be integrated in all policy aspects of the EU, such as energy, economic and fiscal policy, transport, environmental policy and social policy. Such policies should not be dictated by big business interests. The EU should have ambitious targets against climate change. These should be more ambitious than the current EU framework. On a European level, targets for 2030 should ensure CO2 emission reductions of between 50% and 60% compared to 1990, and an increase in renewable energy and energy efficiency of between 30% and 45%. National legislation should conform to such targets so as to ensure that these are met at EU level. The concept of security should be connected to the dismantling of the arms industry. There should be opposition to militarization on a global level, and the constitutional neutrality of EU member states with this status should be respected. There is no guarantee that the European External Action Service will be accountable to the European and National parliaments, both politically and in terms of budgeting. Therefore, it should be opposed. 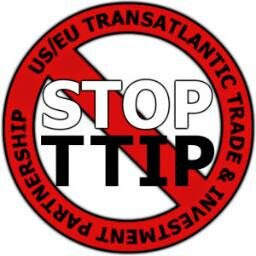 The Transatlantic Trade and Investment Partnership (TTIP) with the USA should be subject to an impact study, to a democratic discussion in the European Parliament and within civil society, and to full transparency before proceeding. It should also be subject to a referendum. The European Parliament should keep the European Commission accountable so that at least 90% of eligible Overseas Development Aid (ODA) funds are implemented in projects. Developing countries should be assisted to combat climate change. Funding in this regard should be apart from ODA funds. ODA funds should not be reduced, and the EU should honour its obligations. The concept of Fortress Europe should be replaced by policies based on responsibility sharing, anti-racism and anti-imperialism. In-nefqa ta’ l-Unjoni Ewropea għandha tiżdied sabiex ikollha effett sinjifikanti fuq il-produzzjoni u l-impjiegi. Għandu jkun hemm pjan ta’ investiment Ewropew sabiex ikun hemm rikostruzzjoni soċjali u ekoloġika u sabiex tikber id-domanda fl-Ewropa. L-Emfasi għandha tkun fuq l-ambjent u l-enerġija rinnovabbli; il-produzzjoni ta’ l-għerf u l-informatika; attivitajiet ta’ saħħa u ħarsien soċjali; u soluzzjonijiet sostenibbli f’oqsma bħall-ikel, mobilità, kostruzzjoni, enerġija, skart u ilma. Għandu jitwaqqaf l-iżmantellar tal-kapaċità industrijali fl-Ewropa. Għandu jiġi revokat il-proċess ta’ privatizazzjoni u jiżdied ir-rwol tas-settur pubbliku f’inizjattivi ġodda fl-UE. Għandhom jinħarġu Eurobonds sabiex jiffinanzjaw l-iżbilanċ tal-Gvernijiet nazzjonali. Għandu jkun hemm awditjar fuq dejn insostenibbli ta’ pajjiżi sabiex jiġi verifikat jekk huwiex leġittimu. Banek m’għandhomx jitħallew jipparteċipaw f’attiva spekulattiva. Għandha tidħol il-Financial Transactions Tax sabiex ikun hemm inqas dejn pubbliku u sabiex titrażżan l-ispekulazzjoni finanzjarja. Il-Bank Ċentrali Ewropew għandu jkun suġġett għal kontroll demokratiku u jagħti priorità lill-miri soċjali u ambjentali. Il-Bank Ċentrali Ewropew għandu jassumi r-rwol ta’ ‘lender of the last resort’ għal Gvernijiet. Għandu jkun hemm iktar emfasi fuq ‘collective bargaining’, fuq żieda fil-pagi u fuq ugwaljanza bejn l-irġiel u n-nisa fir-responsabilitajiet tagħhom bħala parti mill-ġlieda kontra x-xogħol prekarju. Il-ħaddiema kollha, irrispettivament mix-xogħol li jagħmlu u min nazzjonalità, għandhom ikollhom aċċess sħiħ għall-programmi soċjali offruti mill-Gvernijiet rispettivi, għal l-istess kundizzjonijiet u pagi ta’ ħaddiema oħra li jaħdmu fl-istess pajjiżi jew reġjuni rispettivi. L-użu kundizzjonali ta’ fondi strutturali sabiex jiġu mposti miżuri ta’ awsterità għandha tieqaf, u deċiżjonijiet dwar użu ta’ dawn il-fondi għandhom ikunu determinati minn bżonnijiet soċjali. Għandu jkun hemm fondi adekwati għal persuni qegħda, bħaż-żgħażagħ, ħaddiema anzjani, u ħaddiema b’diżabilità. Fl-istess ħin, il-politika soċjali Ewropea għandha tirrikonixxi li bosta persuni ma jistgħux jaħdmu u għalhekk jeħtieġu assistenza soċjali mingħajr kundizzjonijiet. Il-politika ta’ workfare, fejn benefiċċji u servizzi soċjali jiġu kundizzjonali u immirati lejn aċċettazzjoni ta’ xogħol prekarju, għandha titwarrab. Minflok ikun hemm politika li filwaqt li tinkoraġixxi ‘active policy measures’ bħal taħriġ, għandha tiggarantixxi ukoll welfare universali. Għandu jkun hemm politika soċjali li tiżgura li servizzi pubbliċi bħas-saħħa, l-edukazzjoni u s-servizzi soċjali ma’ jiġux privatizzati u liberalizzati. Għandu jkun hemm politika li tiżgura bilanċ xieraq bejn ix-xogħol u l-ħin ħieles u għandu jkun hemm regoli Ewropej kontra x-xogħol prekarju. Il-Parlament Ewropew għandu jappoġġja politika dwar ‘minimum income’, fejn f’kull pajjiż ikun hemm skemi fejn kull persuna taqla mill-inqas 60% tal-median income tal-pajjiż rispettiv. 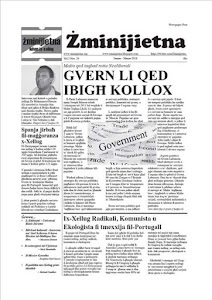 Din ikollha rwol importanti (counter-cyclical economic role) fir-ridistribuzzjoni tal-ġid u jkollha rwol ekonomiku li permezz tagħha il-konsum u d-domanda fl-ekonomija ikollhom iktar riżorsi, biex b’hekk tiġi evitata ir-riċessjoni. Il-Parlament Ewropew għandu jappoġġja proposta għal Dħul Bażiku għal Kulħadd fuq livell Ewropew, sabiex jonqos il-faqar u jkun hemm iktar ridistribuzzjoni tal-ġid filwaqt li ma trażżanx l-inizjattiva ekonomika u soċjali u tikber id-domanda fl-ekonomija. It-trattati kollha ta’ l-UE għandhom ikollhom protokoll soċjali u ambjentali. Għandu jkun hemm patt soċjali Ewropew biex jiġu miġġielda il-faqar, l-esklużjoni soċjali, u d-diskriminazzjoni, u sabiex ikun hemm iktar demokrazija u parteċipazzjoni tas-soċjetà ċivili fil-politika Ewropea. Għandu jkun hemm politika li permezz tagħha it-tibdil fil-klima tkun integrata f’kull qasam ta’ politika ta’ l-UE, bħall-enerġija, politika fiskali u ekonomika, transport, politika ambjentali u politika soċjali. Il-politika m’għandhiex tkun iddettata mill-big business. Għandu jkunn hemm miri ambizzjuzi kontra t-tibdil fil-klima, iktar minn dawk stabiliti mill-UE fil-preżent. Fuq livell Ewropew, għandu jkun hemm miri sal-2030 li jinkludu tnaqqis fl-emissjonijiet CO2 ta’ bejn 50% u 60% meta mqabbla mal-1990 u żieda ta’ enerġija rinovvabli u effiċjenza fl-enerġija ta’ bejn 30% u 45%. Għandu jkun hemm liġijiet nazzjonali konformi ma’ dawn iċ-ċifri, sabiex tintlaħaq din il-mira fuq livell Ewropew. Enerġija bħal agrofuels, carbon capture and storage (CCS), enerġija nukleari u hydraulic fracking bħal ‘shale gas’ għandhom jiġu opposti. Din ta’ l-aħħar m’għandhiex titqies bħala ‘natural gas’. Il-kunċett ta’ sigurtà għandu jkun konness ma’ diżmantellar ta’ l-industrija ta’ l-armamenti. Għandu jkun hemm oppożizzjoni għal militarizazzjoni fuq livell globali, u għandha tiġi rispettata n-newtralità kostituzzjonali ta’ pajjiżi fl-UE li għandhom dan l-istatus. M’hemm l-ebda garanzija li l-European External Action Service ser tkun kontabbli għall-Parlament Ewropew u għall-Parlamenti Nazzjonali, kemm politikament kif ukoll f’temini ta’ baġit. Għalhekk din għandha tkun opposta. It-Transatlantic Trade and Investment Partnership (TTIP) ma’ l-Istati Uniti ta’ l-Amerika għandu jkun suġġett għal studju dwar l-impatt, diskussjoni demokratika fil-parlament Ewropew u fis-soċjetà ċivili u trasparenza sħiħa qabel ma’ jipproċedi, u għandu jkun suġġett għal referendum. It-TTIP m’għandux iwassal għal standards iktar baxxi għad-detriment ta’ saħħa pubblika; sigurtà pubblika; drittijiet tal-ħaddiema u konsumaturi u protezzjoni ambjentali. It-TTIP m’għandux jittrasferixxi kompetenza regolatorja minn istituzzjonijiet demokratiċi għal dawk teknokratiċi u mhux eletti. It-TTIP m’għandux jippermetti liberalizazzjoni ta’ servizzi pubbliċi bħas-saħħa, kultura, ilma u servizzi soċjali u edukazzjoni. It-TTIP m’għandhiex tnaqqas l-awtonomija politika dwar produzzjonijiet kulturali, attivitajiet edukattivi u politika lokali. Il-Parlament Ewropew għandu jżomm lill-Kummissjoni Ewropea responsabbli sabiex mill-inqas 90% tal-fondi eleġibbli tal-‘Overseas Development Aid’ (ODA) jiġu implimentati f’proġetti. Pajjiżi li qed jiżviluppaw għandhom jiġu mgħejjuna sabiex jatwaw politika dwar it-tibdil fil-klima. Fondi dwar tibdil fil-Klima għandhom ikunu apparti għal dawk allokati għal ODA. M’għandux ikun hemm qtugħ ta’ fondi Ewropej assoċjati mal-ODA, u l-UE għandha tonora l-obbligi tagħha. Il-Kunċett ta’ Fortress Europe għandu jiġi mibdul b’politika bbażata fuq responsibility sharing, anti-razzista u anti-imperjalista. 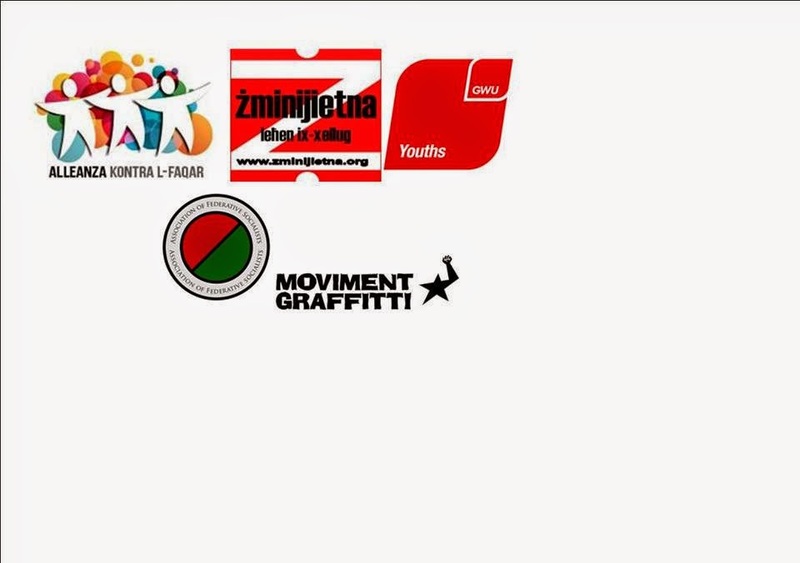 A Left Manifest for the European Elections will be presented by Zminijietna Voice of the Left, Anti-Poverty Alliance, GWU Youths, Moviment Graffitti and Association of Federative Socialists. The press and the public are invited to attend the presentation and explanation of the manifest, which will be disseminated to political parties. Żminijietna - Voice of the Left appealed to the Government to build upon mixed ability schooling rather than introducing banding. “Mixed ability schooling has been tried and testing in countries with the best educational systems in the world – such as Finland – and this has brought about more equality among students whilst improving educational levels, creativity and employability. We strongly appeal to the Government not to divert from a system which was only introduced a few years ago and which needs increased investment and resources to develop further”. “Banding is a form of streaming which can result in inequalities among students, to the detriment of those who come from disadvantaged backgrounds, and which can have adverse social and psychological effects on students who are streamed in the lower bands”. “Żminijietna appeals to the Government to consult with experts from the Faculty of Education at the University of Malta, whose experience and research in the field clearly shows the advantages of mixed-ability schooling”. “The Labour Government has introduced many progressive reforms in the field of education, such as breakfast clubs and increased after-school hour services, and will introduce others such as universal childcare centers and teaching of ethics. The introduction of banding goes the opposite way of such progressive reforms”. 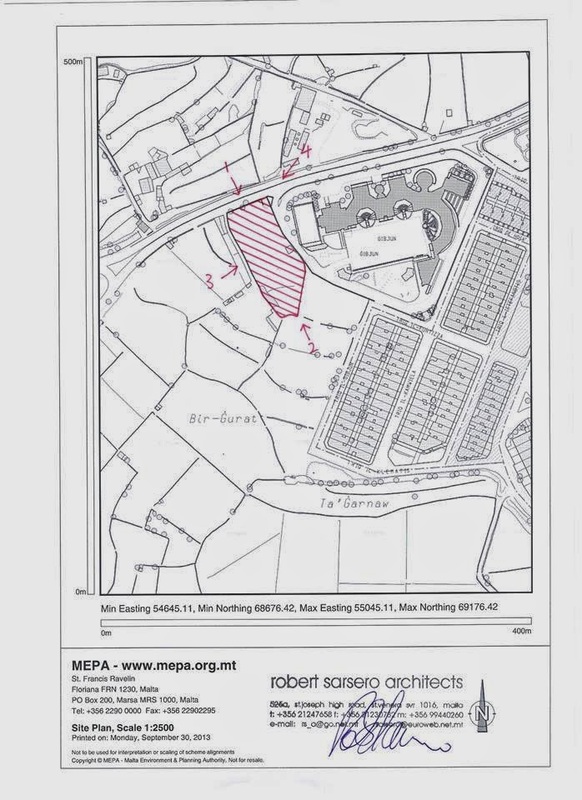 Żminijietna - Voice of the Left expressed its support of the Action Group to stop the development of a five-storey residence in the Outside Development Zone limits of Santa Lucija and Luqa (MEPA Tracking Number 0155949). “Wied Garnaw was threatened by development years ago, and a coalition of ENGOs, residents and political parties stopped this from happening. The late Labour MP Karl Chircop was prominent in the campaign to stop this development”. “The area is zoned as a rural conservation area and as a valley protection zone. We therefore appeal to all political parties, the local council to oppose the proposed development and to MEPA to reject the application. If such development is approved, it set an ugly precedent for further development in the valley”.